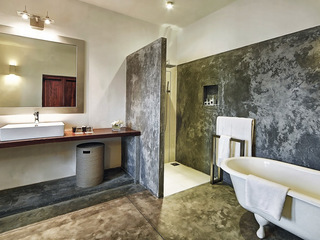 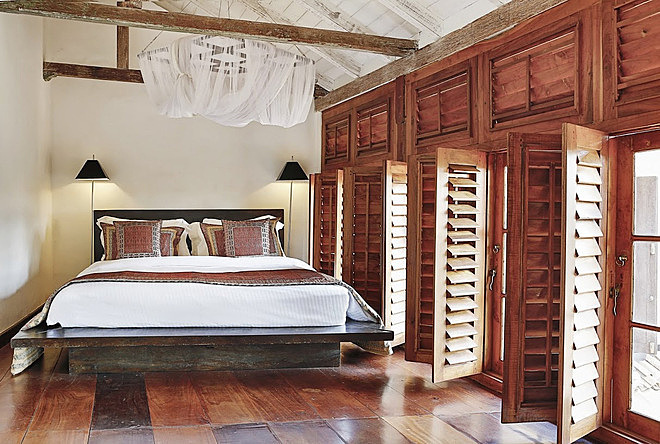 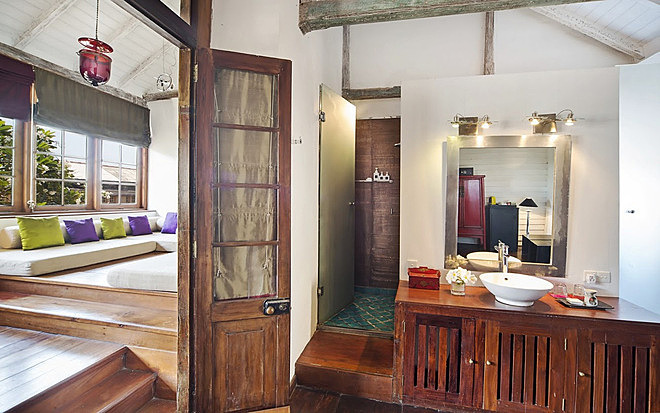 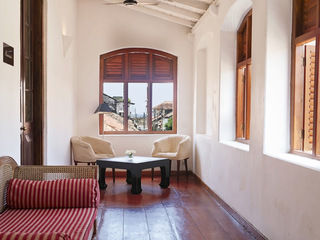 Located on a peninsula in Galle a stone’s throw from the coast, Fort Printers is a boutique hotel set in a wonderfully restored 18th century mansion. 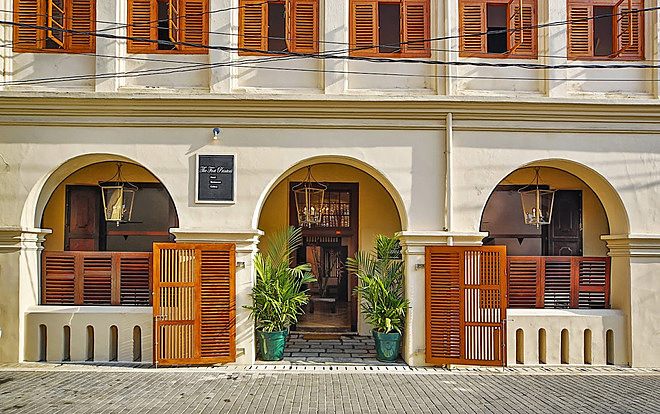 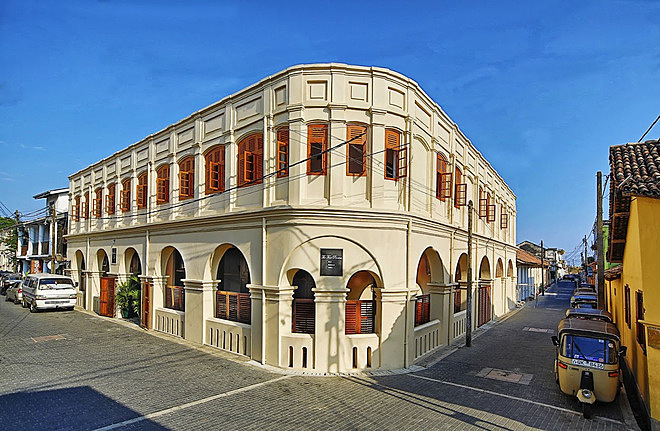 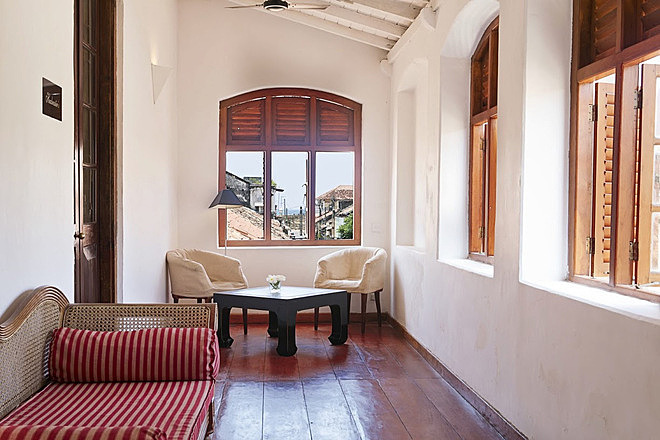 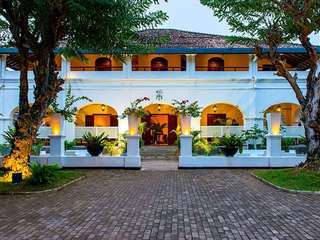 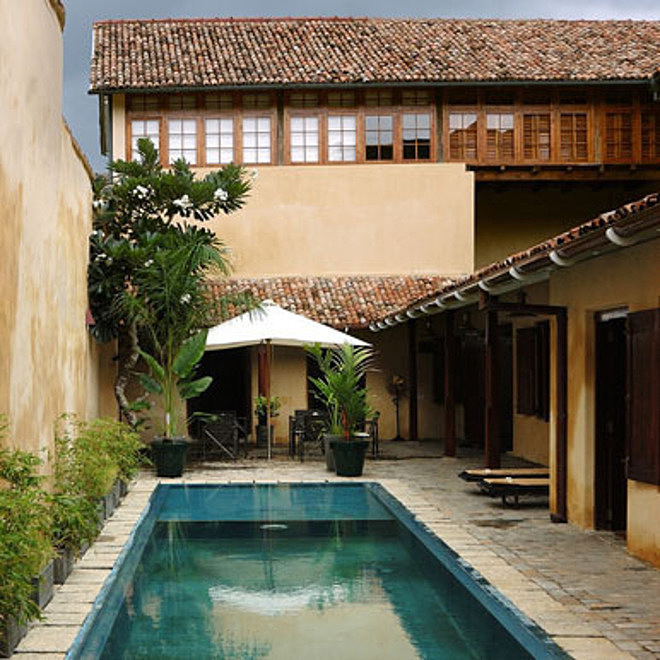 The independently owned hotel lies within the boundaries of Galle Fort, a 16th century fort initially built by the Portuguese then fortified by the Dutch. 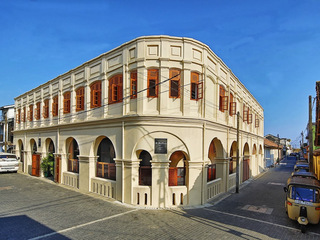 The fort’s remains have been designated a World Heritage Site. 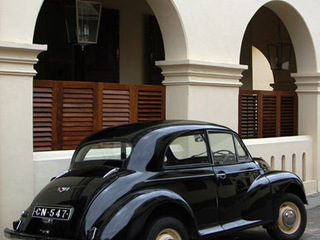 When staying at the intimate and well-appointed Ford Printers, guests are very well placed indeed to explore the fort’s many surviving features and everything else Galle and the surrounding area has to offer. 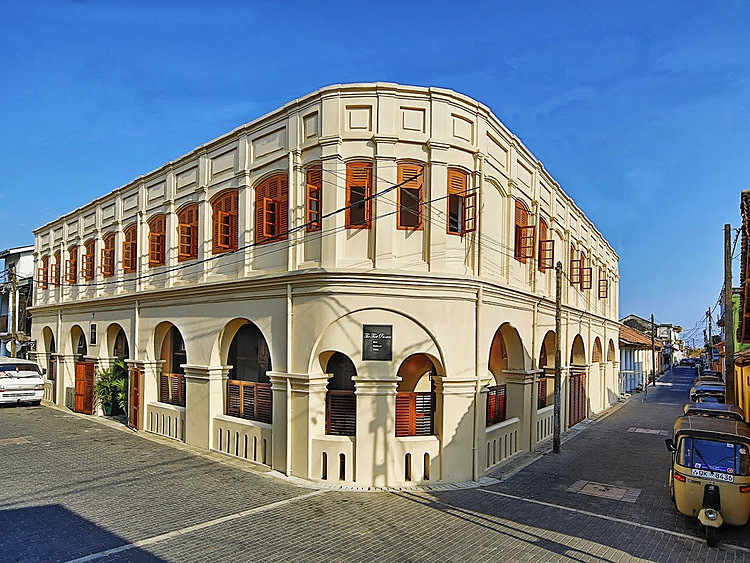 If you’re curious about the name Fort Printers, the hotel is so-called because until 1992 the mansion housed a printing company. 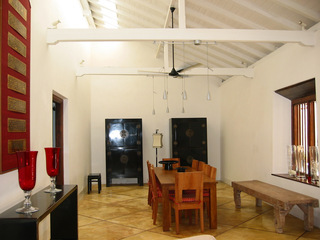 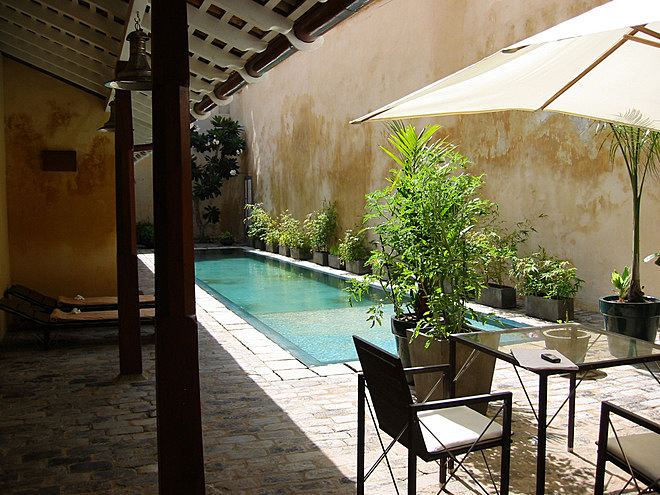 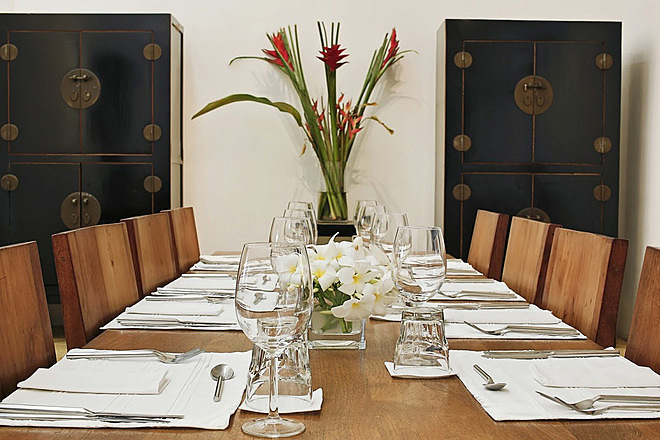 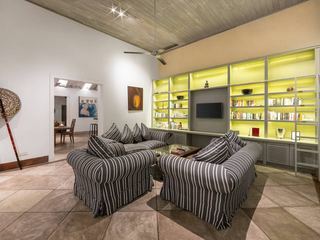 The property houses a total of 18 suites, all of which are handsomely furnished and very well presented. 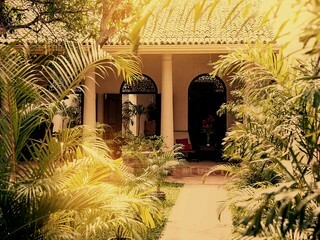 In the mansion itself are five of the suites, four of which are linked by a walkway up on the second floor. As for the fifth, it’s right by the small lap pool. 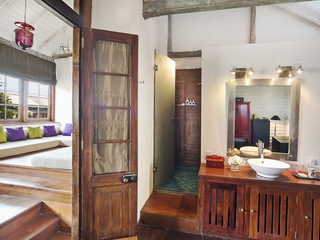 The five suites showcase a rich blend of architectural styles and design features - original features such as whitewashed walls, rain showers lined with copper, exposed wooden beams, jackwood floors, shuttered windows and a delightful array of antiques really give the hotel a unique sense of character. 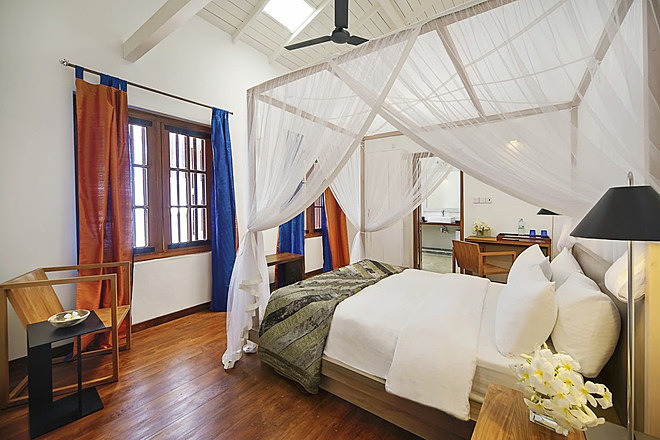 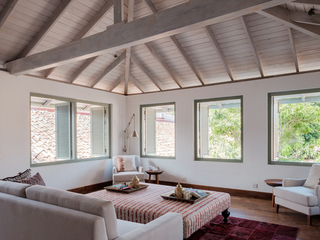 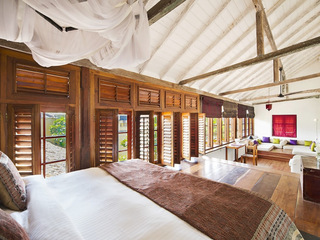 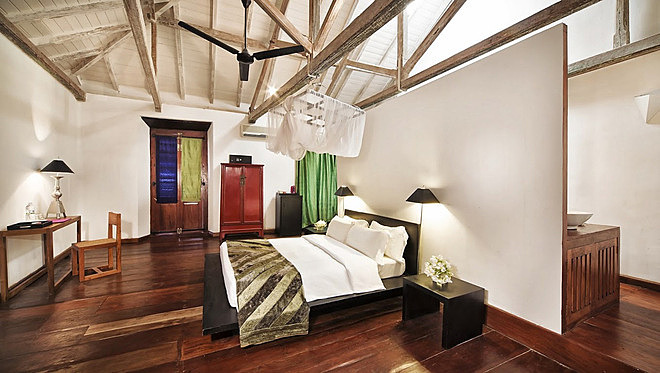 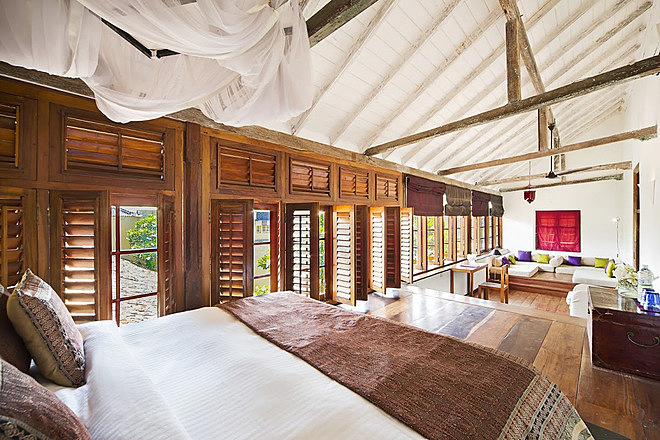 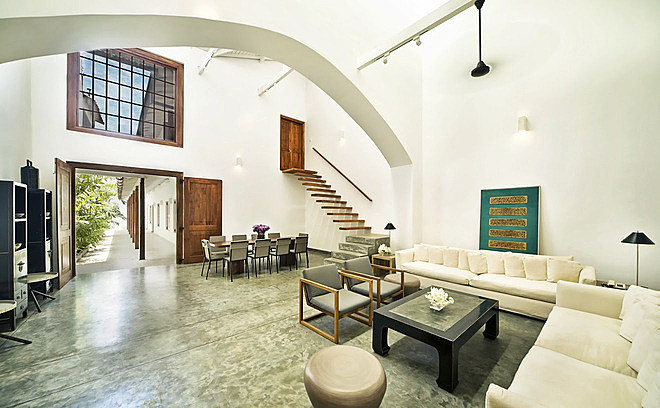 The 13 remaining suites are located in two heritage villas that were constructed in 2013. 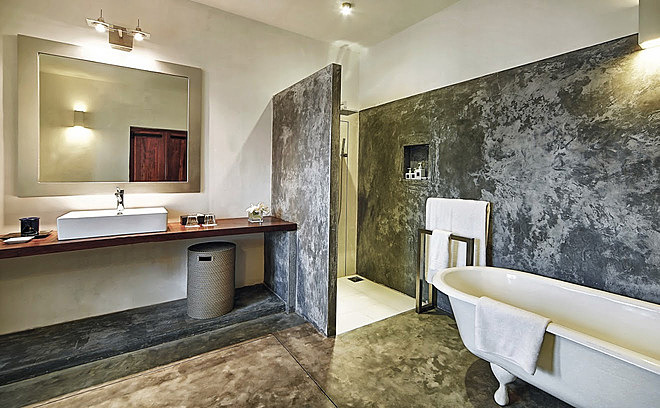 Though they’re not as old as the original ones, these suites boast a contemporary style and are just as elegant and comfortable. 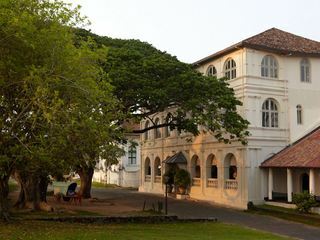 It would be easy to wile away the hours exploring the cultural melting pot that is Galle, but for any visitor wishing to go further afield, there are plenty of attractions that are well worth visiting. 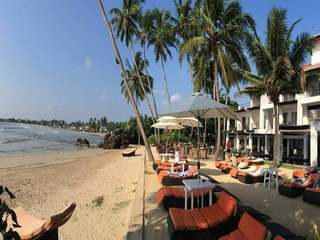 The city is in the southwest of Sri Lanka and has many fine beaches and coves that attract both tourists and locals alike. 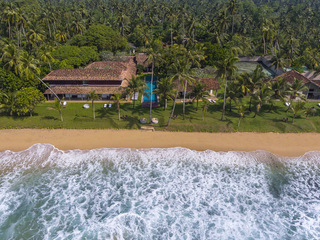 Depending on the season, visitors can take to the sea and go whale watching to view these giant marine mammals on their annual migration across the Indian Ocean. 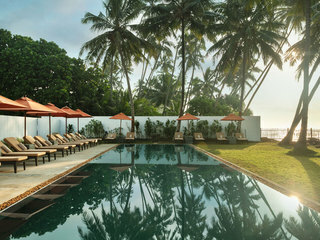 The best places to go for this are Dondra Point and Mirissa, both of which are quite close to Galle. 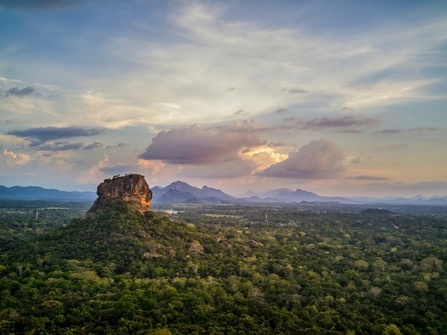 Also nearby are the Hiyare Forest Reserve, a lush and expansive rainforest reserve home to a number of endemic species, and the Yala National Park, which is home to over 100 species, from leopards and elephants, to jackals and peacocks. 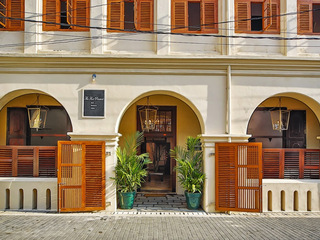 Children are very welcome. 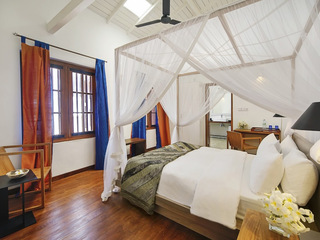 All suites have a king-size double bed that sleeps two, but the hotel will allow one child under the age of 10 stay in a room with parents for free. 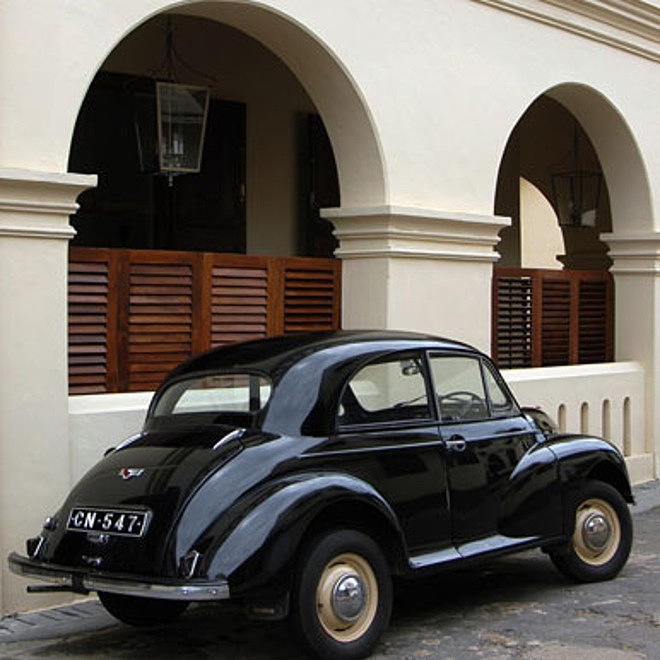 For children over 10 years of age, there’s an additional charge. 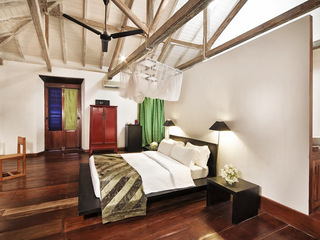 Each room accommodates a maximum of three people, so a family of four would be obliged to book two rooms. 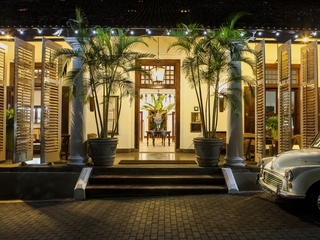 Three meals are served every day, with a sumptuous and delectable array of dishes available, including plenty of authentic Sri Lankan cuisine. 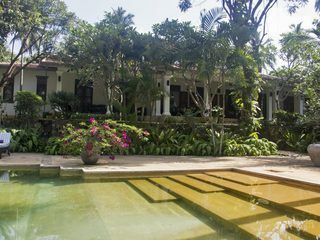 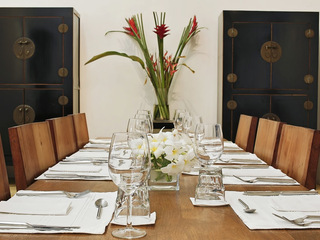 Meals are served either in the grand dining room or the courtyard that overlooks the lap pool at times to suit guests.